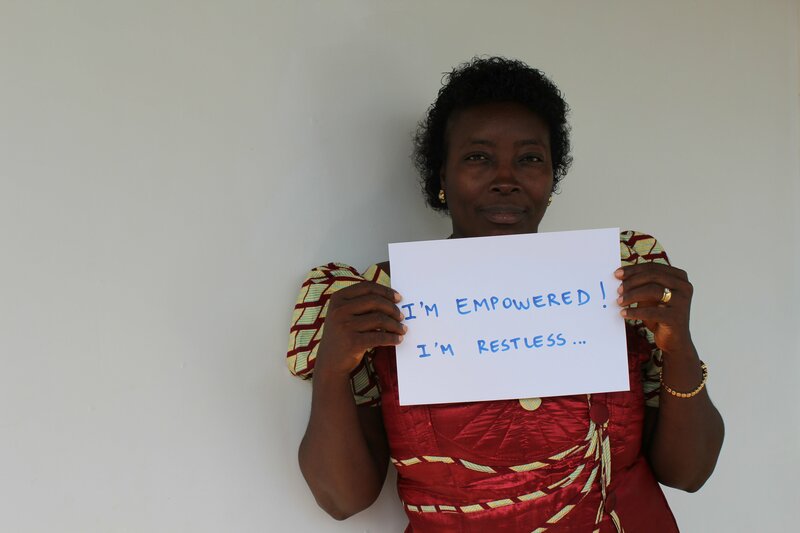 Restless Development Sierra Leone empowers women who in turn contribute to women’s empowerment in their country. You may have heard about the country because of Ebola, but it is about much more than that. Restless Development were there before the crisis, for over a decade, and will be there after too – enabling its young people to rebuild the country for themselves. Read more about the women that are on our team leading the way below. Josephine Musa is an independent women who supports her family through her work and love. She is a committed team player at Restless Development who cares for her team and ensure the finance unit is accountable and efficient. Josephine sees women in 2030 achieving 50% representation in parliament, (currently standing at 11.3%) and in the top decision making positions of her country. She believes that by working with Restless Development towards the development of Sierra Leone, she is influencing her future, and the future of every other Sierra Leone woman- increasing the chances for her vision to be realized. 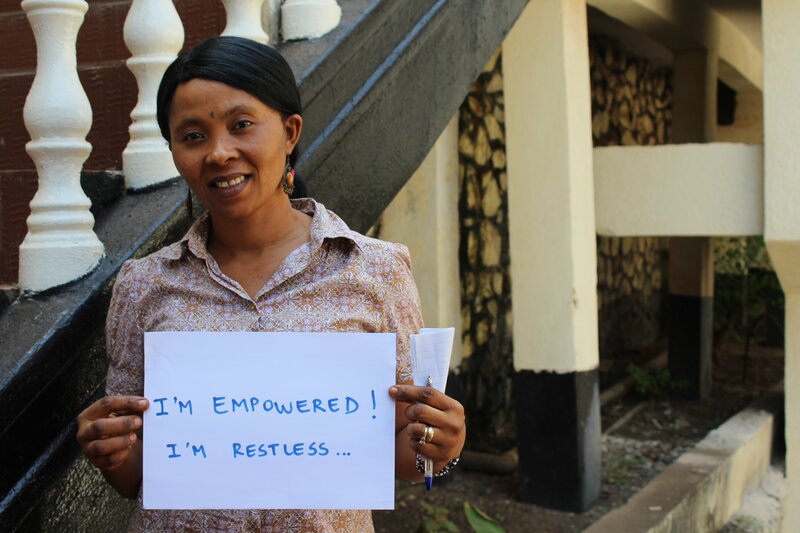 Ten years ago, Ramatu Koroma started her career in Restless Development as a volunteer. Three years after, her hard work was acknowledged through a promotion to Field Officer. 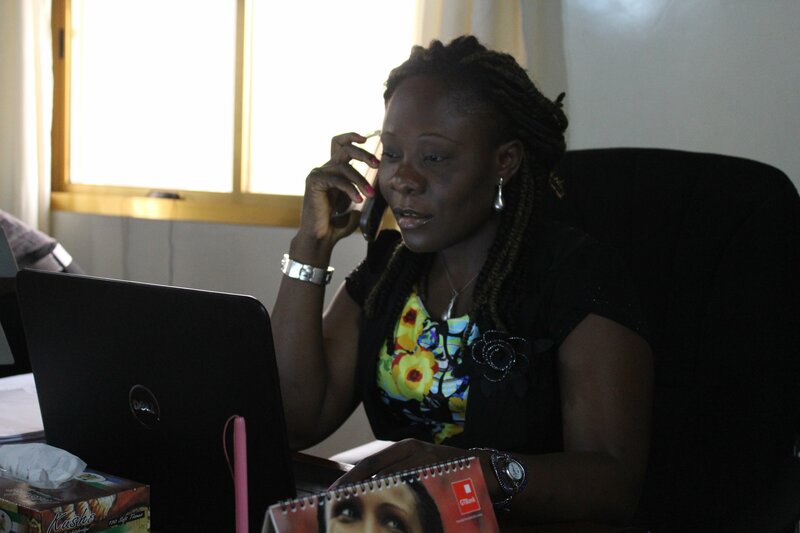 Ramatu proved to be an excellent colleague, hence in 2014 she was offered the position of Assistant Programme Coordinator for the Ebola Response Programme. Today, 25 February 2015, Ramatu has proved herself again and has the opportunity to become District Liaison Officer for the Social Mobilisation Action Consortium at the heart of the EVD national action. She is a determined women, who wants to see the right of her female colleagues respected, and wants to support other women to become economically empowered. She believes that women need to harness professional opportunities to change the equality balance in Sierra Leone, and push the fronts, taking the lead. Hawa O. Brima has been working with Restless Development Sierra Leone for 3 years now, managing our star programme funded by UNFPA- Sexual and Reproductive Health for Young people, especially focusing on the reduction of teenage pregnancy and the right of girls to get an education. Hawa knows that in order to achieve the Agenda for Prosperity (A4P- national development agenda), women need to be empowered. She is personally engaged, through her family and her professional life, to contribute to the development of communities, families and the country as a whole – creating this way the enabling environment for girls and women’s equal right and opportunities.